The lower back or lumbar spine is well-engineered with an interconnection of bones, nerves, joints, ligaments, and muscles. They all work together to provide you strength and flexibility. But the lower back can also quickly make you susceptible to injury. Even standing or sitting for too long causes pain. So, let’s fix it with these 7 yoga poses for lower back pain. Before that, let’s find out the causes of lower back pain. The muscles in your lower back flex and rotate your hips while you walk and support your spinal column. The lower back helps in everyday motions like bending and twisting. It also supports the weight of your upper body. Lower back pain occurs when there is an injury to the muscles, joints, or discs. The body heals from the injury through inflammation, which you feel as pain. The pain occurs due to muscle tear, a disc problem, or sprained ligaments. Other conditions like fibromyalgia, osteoporosis, osteoarthritis, spinal stenosis, and ankylosing spondylitis also cause lower back pain. Pregnancy is another cause because of the extra body weight and potential compression of the spinal nerves. Obesity can increase pressure on the spine and cause strain in the disc and the muscles of the back. Let’s find out how yoga is helpful in relieving lower back pain. A poor diet and lack of exercise increase the risk of lower back pain by the day. Before it gets too bad, you must fix it, and yoga is the best option to do so. The back and abdominal muscles are essential components of the spine’s muscular network. When you practice yoga poses that nurture these muscles, your back pain is taken care of. Stretching is important for those suffering from lower back pain. When you stretch your hamstring muscles, it helps develop motion in the pelvis, which eventually decreases stress in the lower back. Also, stretching increases blood flow to the lower back and nourishes its muscles and tissues. It helps the toxins to flow out and nutrients to flow in. Negative thoughts make you believe your lower back pain is more severe than it is and causes extra pressure, which also affects your mind. Meditate to overcome this and solve your lower back pain quickly with yoga poses. Let’s take a look at those yoga poses now. The following yoga poses will relieve lower back pain as well as prevent it from occurring in the future. But if you suffer from a severe backache, consult your doctor before going ahead with these poses. About The Pose: Bharadvajasana or the Seer Pose is a seated spinal twist. It is named after a seer called Bharadvaj, who is one among the Saptarishis or the Seven seers. Bharadvajasana is an intermediate level Hatha yoga asana. Practice the pose in the morning on an empty stomach and hold it for 30 to 60 seconds. Benefits: Bharadvajasana stretches your spine and hips, massages your abdominal organs, and relieves lower backache. It works well for those in their second trimester of pregnancy by strengthening the back. About The Pose: Bitilasana or the Cow Pose is an asana that resembles the stance of a cow. ‘Bitila’ is a Sanskrit word that means cow. It is a beginner level Vinyasa yoga asana. Practice it in the morning on an empty stomach and clean bowels for 10 to 15 seconds. 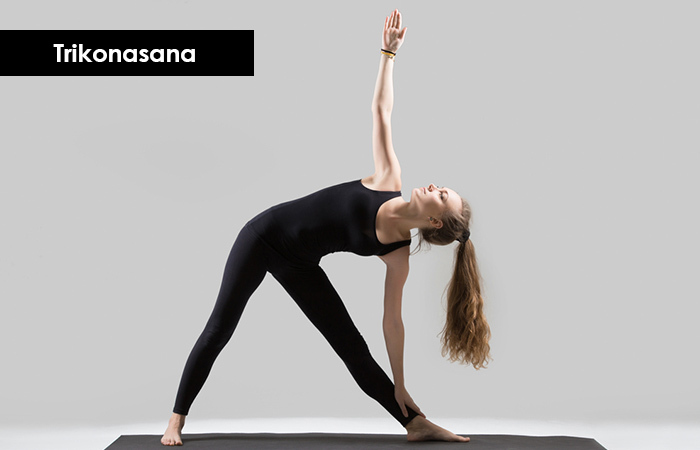 Benefits: Bitilasana improves your posture and balance. It strengthens and stretches your spine. It also helps create emotional balance by relieving stress and calming the mind. About The Pose: Marjariasana or the Cat Pose is an incredible stretch that looks like a cat stretching. The Cat Pose is a beginner level Ashtanga yoga asana. Practice it in the morning on an empty stomach and hold it for 10 to 15 seconds. Benefits: Marjariasana increases the flexibility of your spine. It tones your abdomen and improves digestion and blood circulation in your body. About The Pose: Sethu Bandha Sarvangasana or the Bridge Pose is an asana that looks like a bridge, hence the name. The pose is a beginner level Vinyasa yoga asana. Practice it in the morning on an empty stomach or evening after a gap of 4 to 6 hours from your last meal. Hold the pose for 30 to 60 seconds. Benefits: Sethu Bandha Sarvangasana strengthens your hamstrings and calms your central nervous system. It is therapeutic for osteoporosis and hypertension. The pose also relieves abdominal cramps. About The Pose: Adho Mukha Svanasana or the Downward Facing Dog Pose is an asana that looks like a dog bending forward. It is a beginner level Ashtanga yoga asana. Practice it in the morning or evening on an empty stomach and hold it for 1 to 3 minutes. Benefits: Adho Mukha Svanasana rejuvenates and energizes you and relieves stress and mild depression. The pose lengthens and straightens the spine, relieving pain in the back. About The Pose: Padangusthasana or the Big Toe Pose is one of the easiest yoga asanas and is part of the first set of asanas taught to a beginner. It is a Hatha yoga asana. Practice it in the morning or evening on an empty stomach and hold it for at least 30 seconds. Benefits: Padangusthasana improves the flexibility of your body. It controls nervousness and stretches your lower back. The pose balances your body and mind and cures high blood pressure. About The Pose: Trikonasana or the Triangle Pose forms the shape of a triangle, and is hence named so. It is a beginner level Vinyasa yoga asana. Practice it in the morning or evening on an empty stomach and clean bowels. Hold the pose for 30 seconds. Benefits: The pose strengthens and stretches your back and hips. It reduces blood pressure, stress, and anxiety. It increases the flexibility of your hamstrings and hips. The pose also reduces fat at the waist and thighs. Now, let’s answer some common queries regarding yoga for lower back pain. 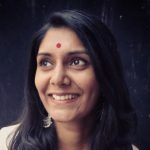 How often do I practice yoga asanas for lower back pain? Practice the asanas every day for at least 10 minutes. Is yoga the best to cure lower back pain? It could be because it heals you mentally and physically in a manner that it won’t occur again if you practice regularly. And it has no side effects. Lower back pain is something we all suffer from at some point in our lives. It could be for various reasons and all the more because of the way we lead our lives now with lesser physical activity. So, movement is recommended and the above asanas can keep the pain at bay and bring nourishment to the tissues surrounding the spine.